The 9th edition of Abrint, the largest congress for Internet providers in Latin America, was a huge success and Media5 is proud of having teamed up with the brazilian distributor Velans/Phonoway to sponsor the event. Take a peak at the photos: https://lnkd.in/dsBxPcs. The Abrint – Encontro Nacional is held annually and, in 2017, it celebrates its ninth edition in São Paulo (Brazil), from May 31st to June 2nd, being consolidated as an important meeting point to telecom and Internet industry players. The lead provider of IP-based communication solutions teamed up with Velans, a Brazilian distributor of the Phonoway group, aiming to explore new markets in the Internet segment and create long-term partnerships. 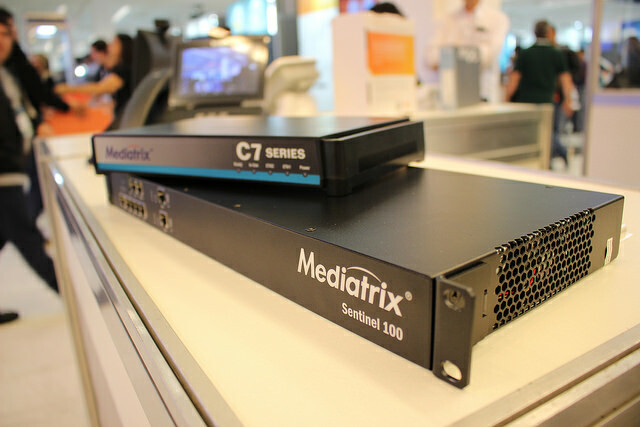 Media5 presented its multi-service business gateways portfolio, including the 2017 launches: the Sentinel 100 SBC and the Mediatrix G7 gateways series. These two great solutions are able to implement and manage reliable, robust, secure, and cost-effective communications across enterprises. Media5 gateways and SBCs are known by their flexible, feature-rich, diverse, and up-to-date capabilities enhancing and transforming productivity and collaboration.